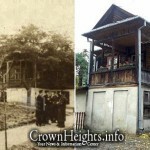 Sunday marked the 118th anniversary of the founding of Yeshivas Tomchei Temimim in Lubavitch Russia. 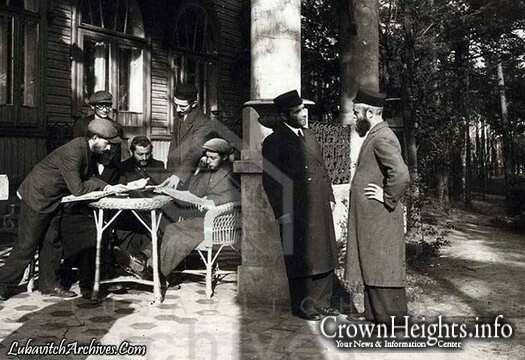 In this photo, students of the Yeshiva study and converse in front of its home in Otwock, Poland, where it relocated after the Previous Rebbe was expelled from Russia in 1927. 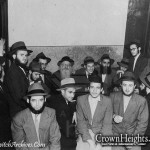 Can you identify anyone in the photo? 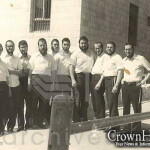 Last year, the building of the Yeshiva was discovered still standing by publisher and researcher Sila Rosenfeld. where are all the expensive hats?